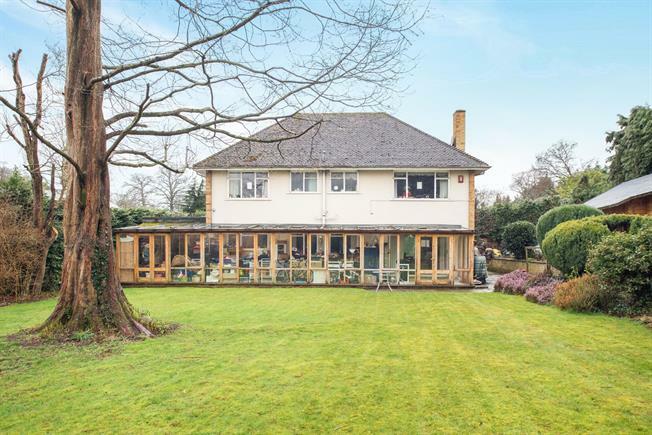 5 Bedroom Detached House For Sale in Esher for Guide Price £1,700,000. This detached family home is set on a lovely plot with mature gardens to the front and rear giving the owner a feeling of space and privacy. The property is laid out over two floors with flexible living accommodation including four reception rooms and a large conservatory. On the first floor there are four bedrooms and two bathrooms. There is the opportunity here to extend and create your perfect home on this super plot which extends to over a third of an acre.